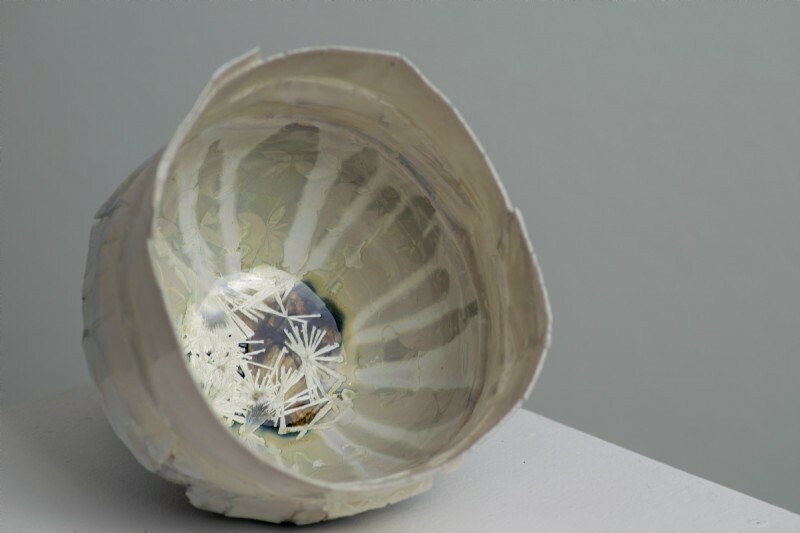 Hilary LaForce makes one-off ceramic pieces inspired by both natural objects and ancient classical vessels, working in stoneware and porcelain clays, with tactile, textural surfaces. The larger pieces are coil built, others are created using a combination of techniques, including slip casting and slab building. The forms include large bowls and vases, up to 26 inches in diameter, a range of small tea bowls, as well as more organic forms, including the 'Fragile Landscape' piece where the mark of the making is integral within the piece. Hilary's pots explore the volatile mixture of crystalline glazes and eroded volcanic surfaces. 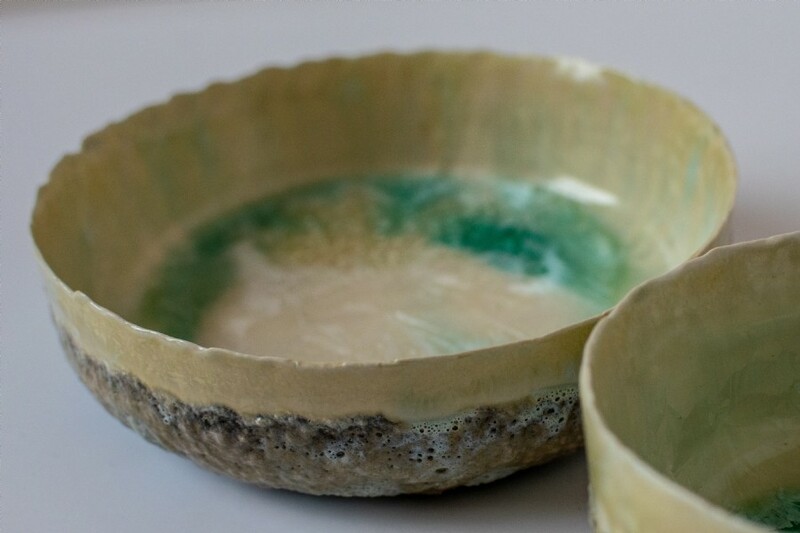 Glazes are applied in multiple layers until both desired and unexpected effects are achieved. The palette of pearly white and soft grey glazes used is evocative of granite cliffs, rugged eroded seashores and swirling seas. As well as jewel like turquoise, rich blues and greens inspired by lagoons, as well as autumnal burnt ochre and tobacco.